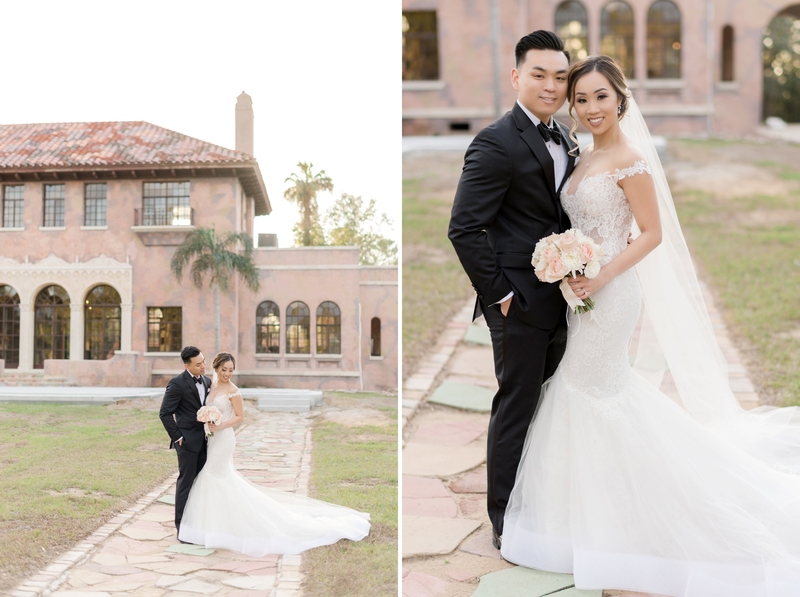 Quyen and Ronnie chose the historic Howey Mansion for a pre-wedding First Look photoshoot! 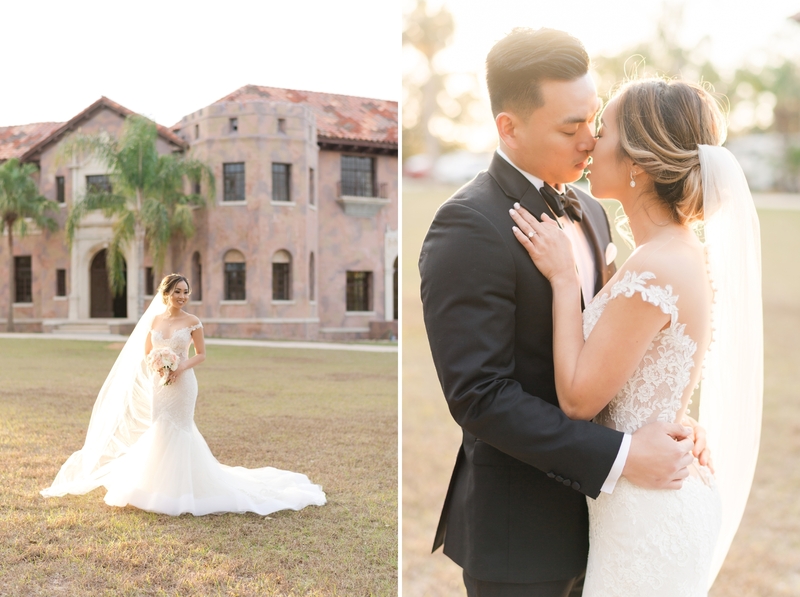 Their South Florida Vietnamese fusion wedding is finally up on the blog! 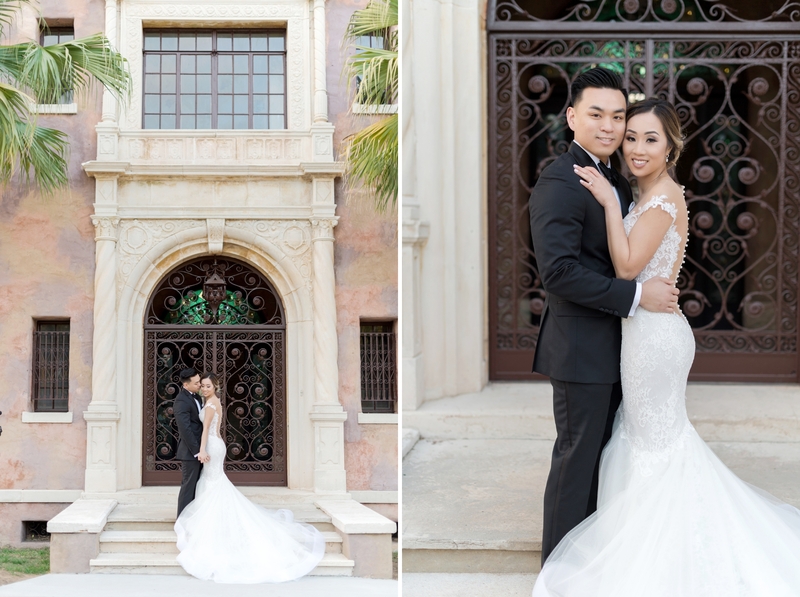 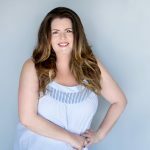 With several photoshoots at the Howey Mansion, including two which were published – this fall was super exciting. 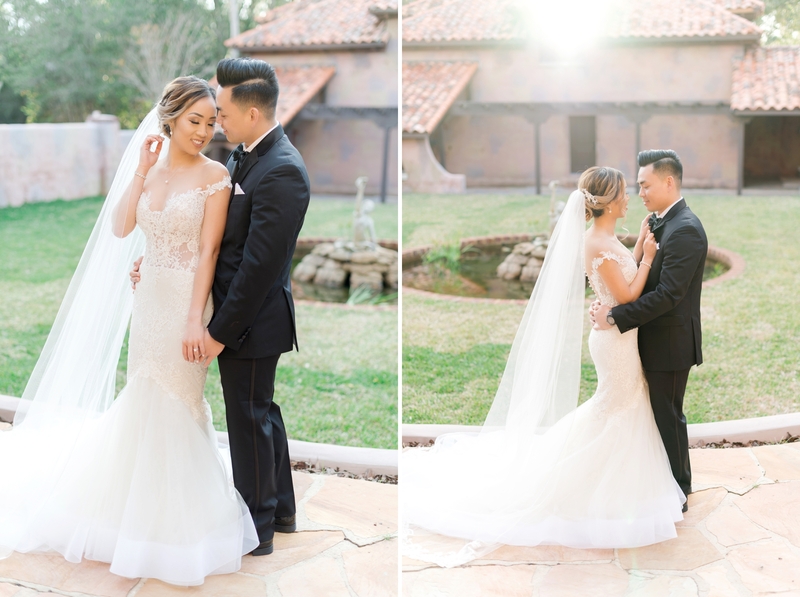 I finally got to shoot my clients there! 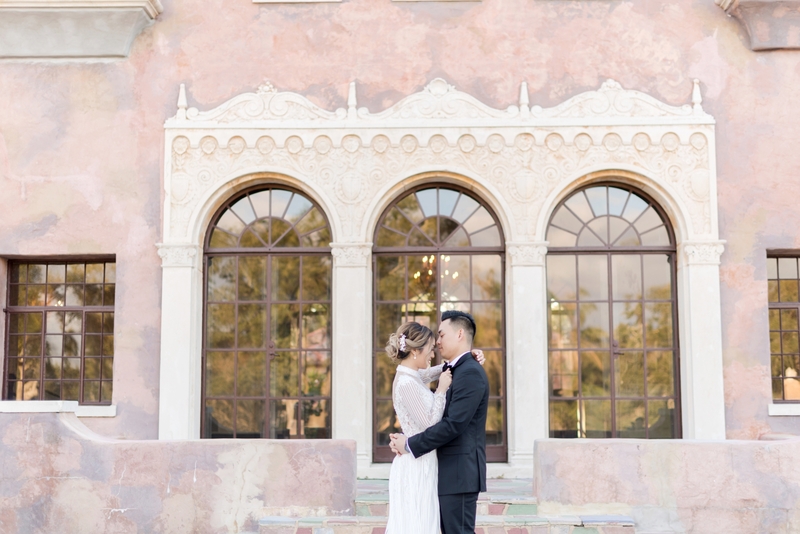 They officially opened the newly renovated mansion in Howey-in-the-Hills in January. 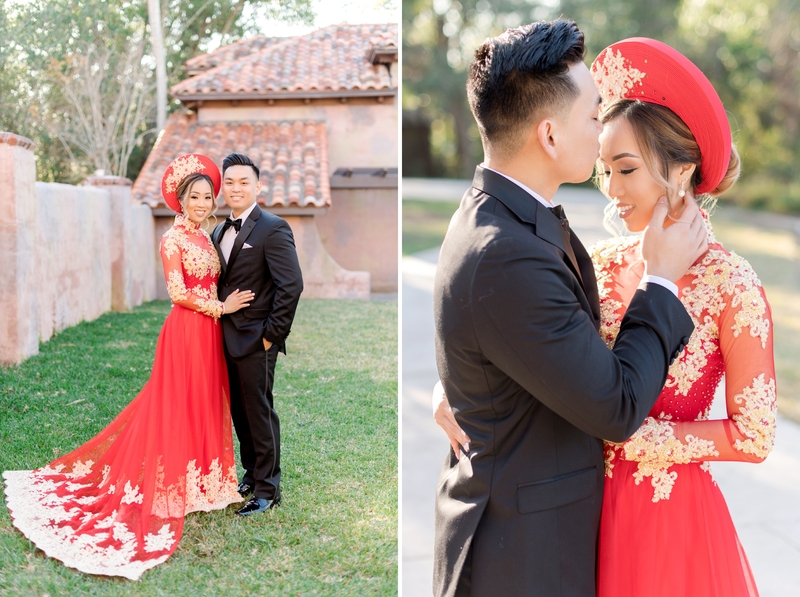 I met up with Quyen and Ronnie to photograph their first look in their wedding day attire! 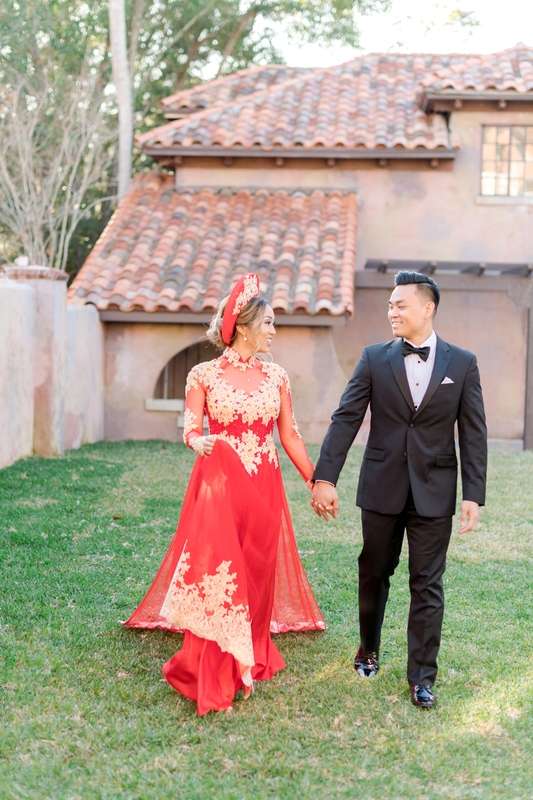 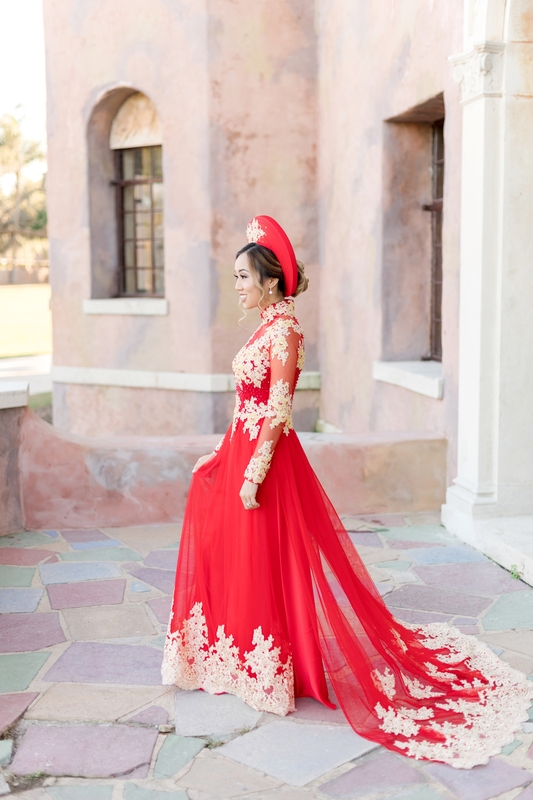 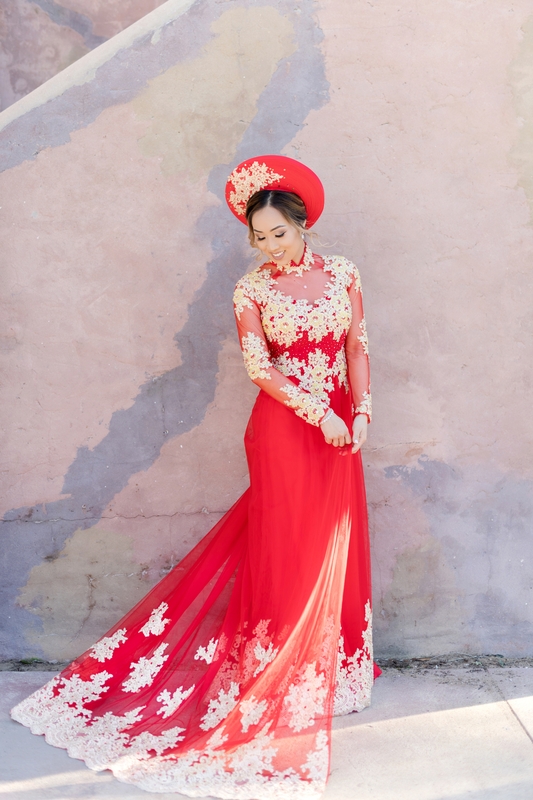 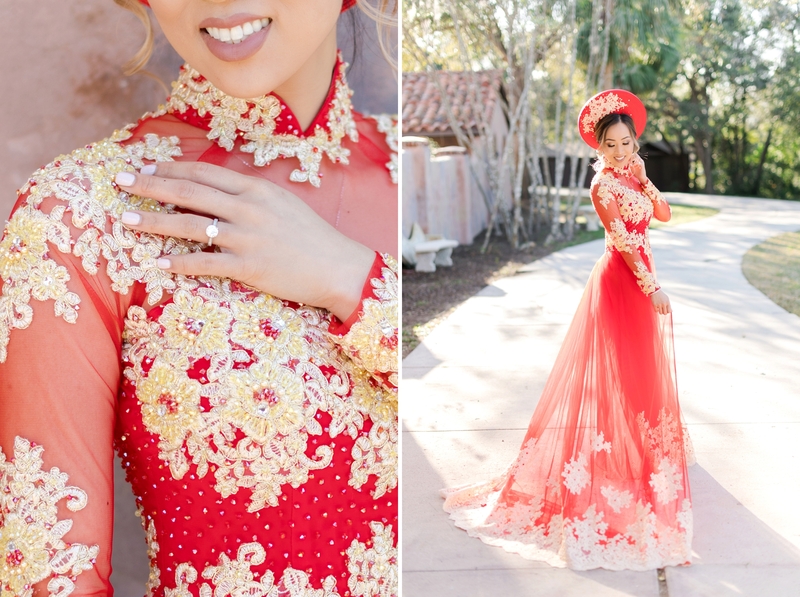 Quyen chose two traditional Vietnamese looks, and one traditional American look, for her wedding day. 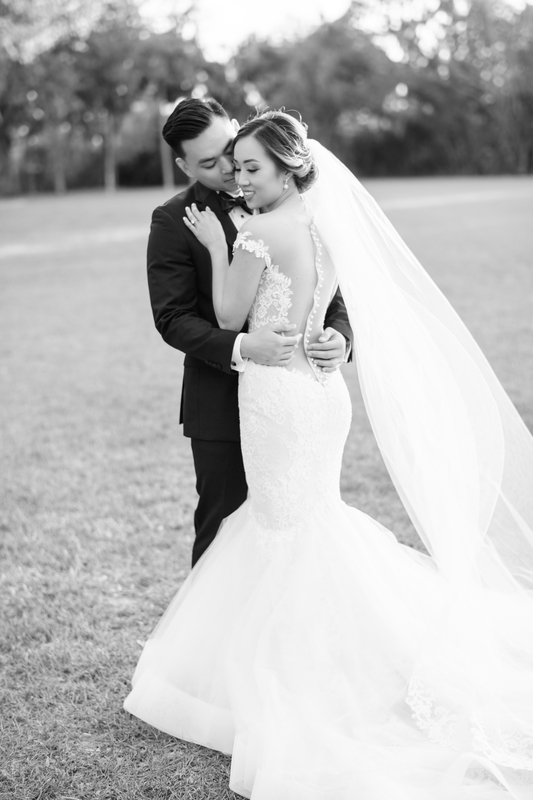 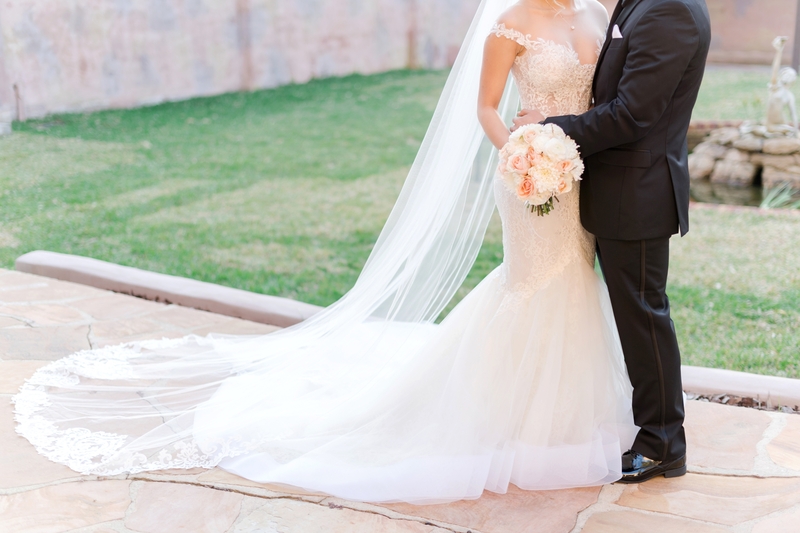 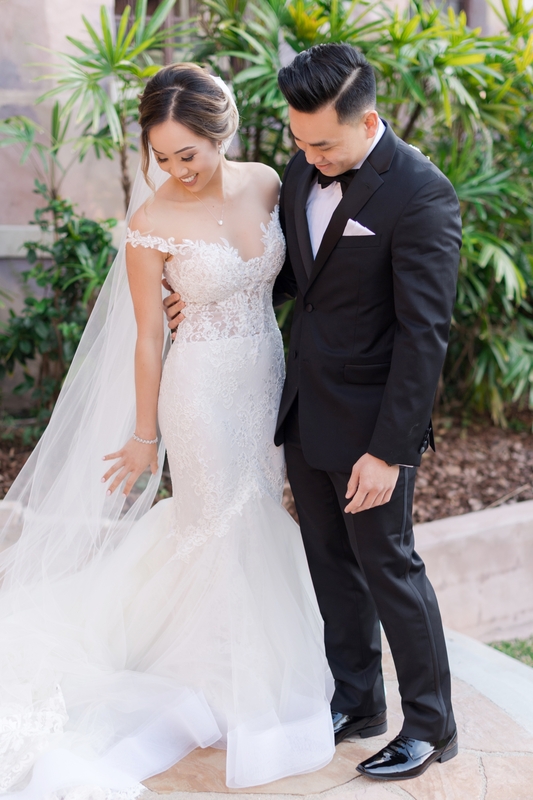 Her wedding gown was an incredible Ines di Santo illusion dress from Chic Parisien in Miami! 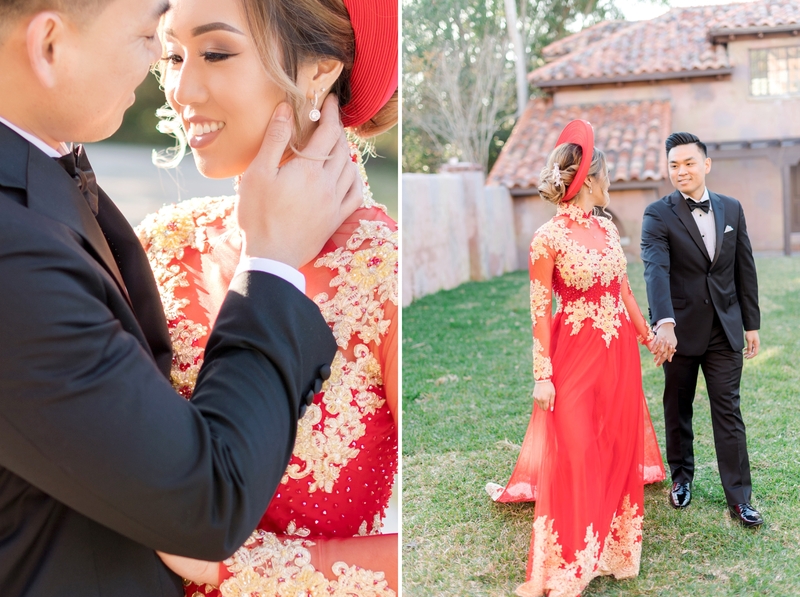 Since the schedule for their actual wedding day was jam-packed with ceremonies, traveling and not a ton of time for portraits of just the 2 of them, Quyen and Ronnie brought up the idea of a pre-wedding photoshoot in each of her 3 outfits! 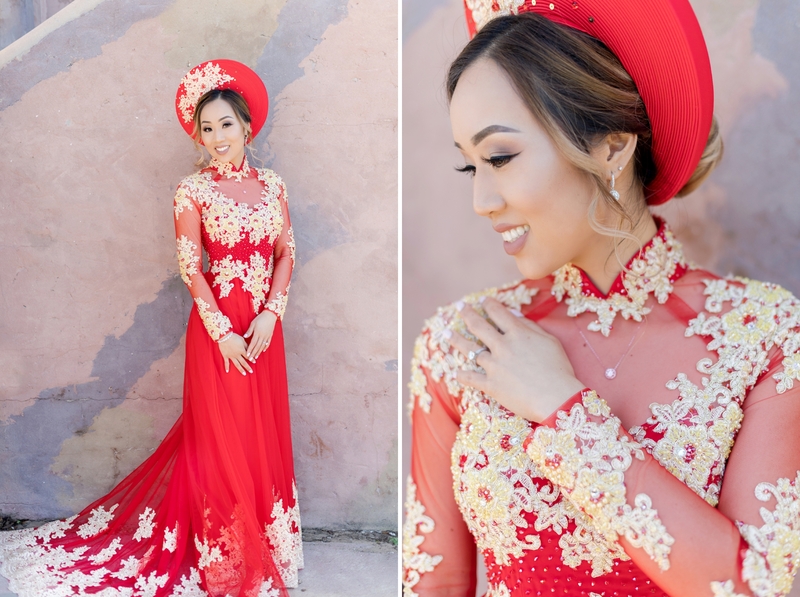 We started with a traditional red and gold Vietnamese Ao Dai, then Quyen changed in to a stunning white Ao Dai! 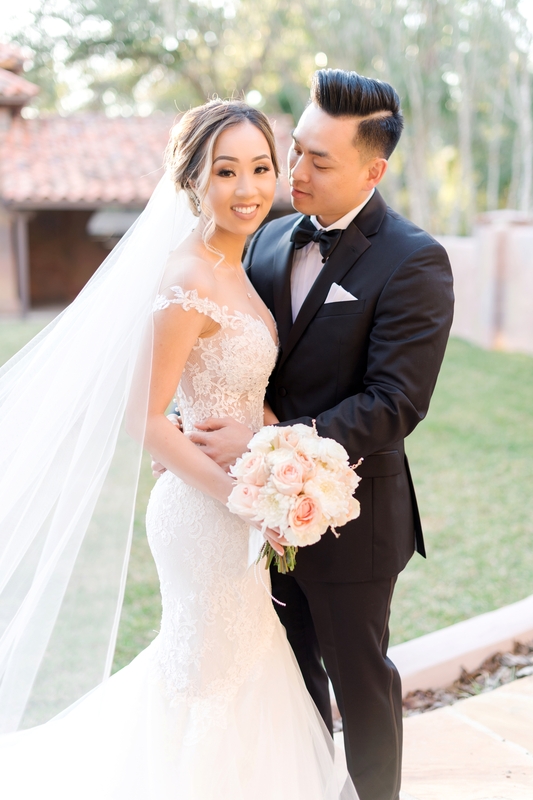 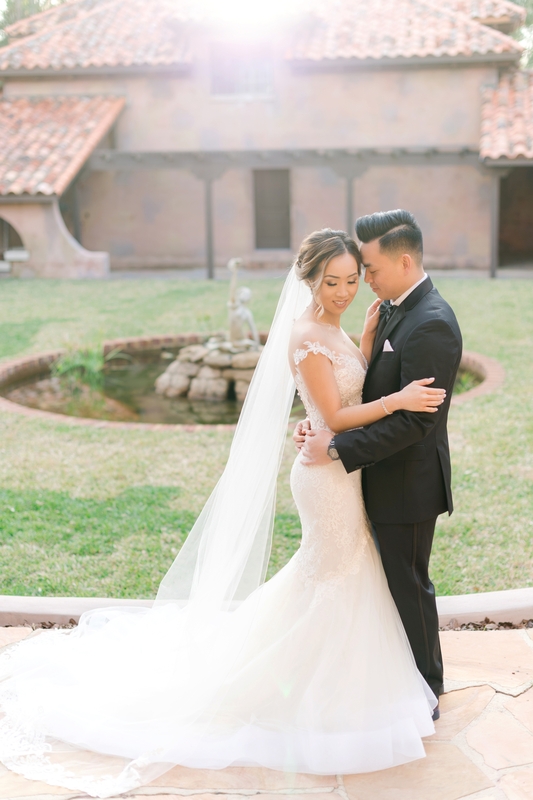 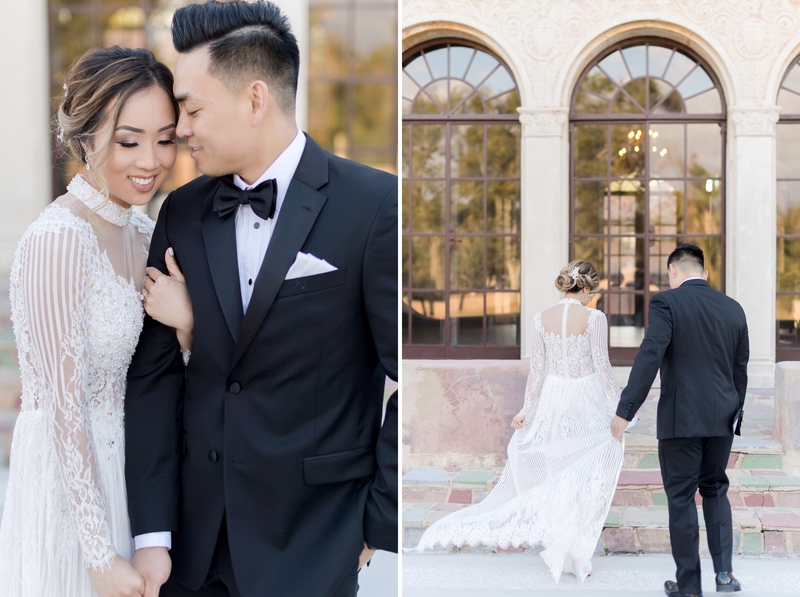 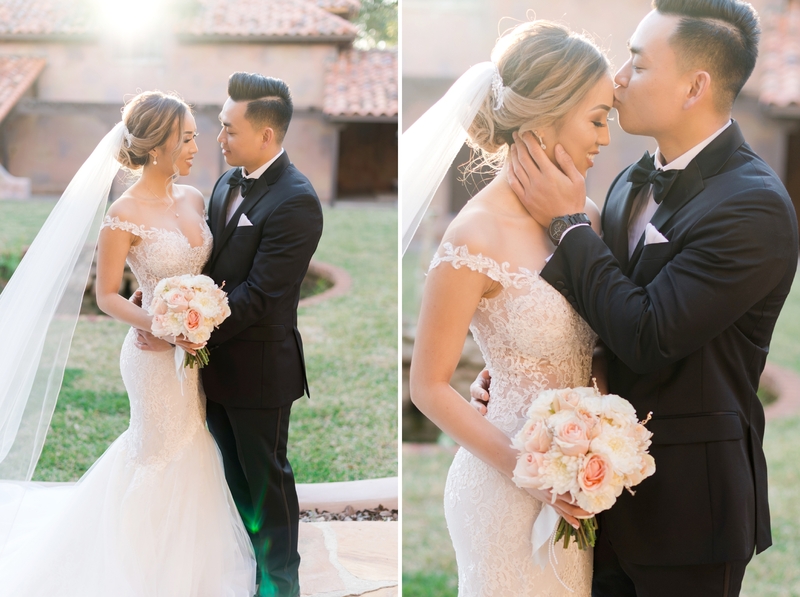 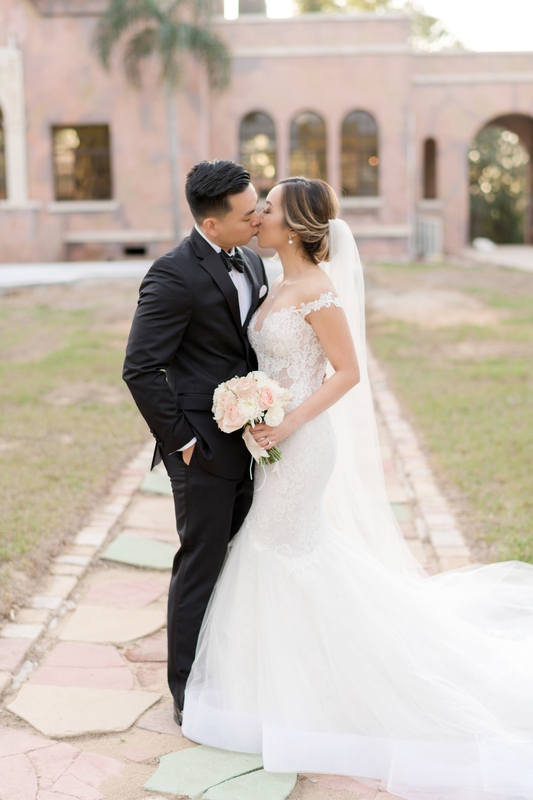 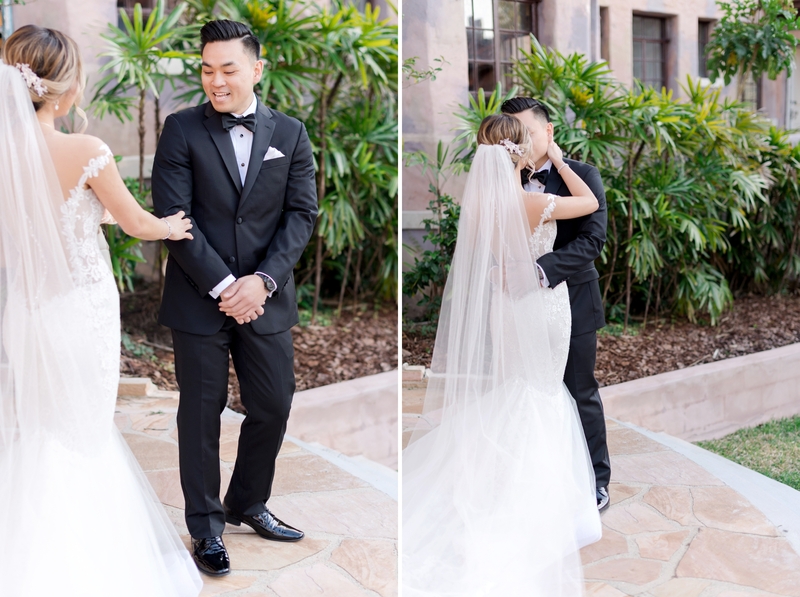 Quyen had been looking forward to sharing her traditional American wedding gown with Ronnie, so we set up a First Look for them! 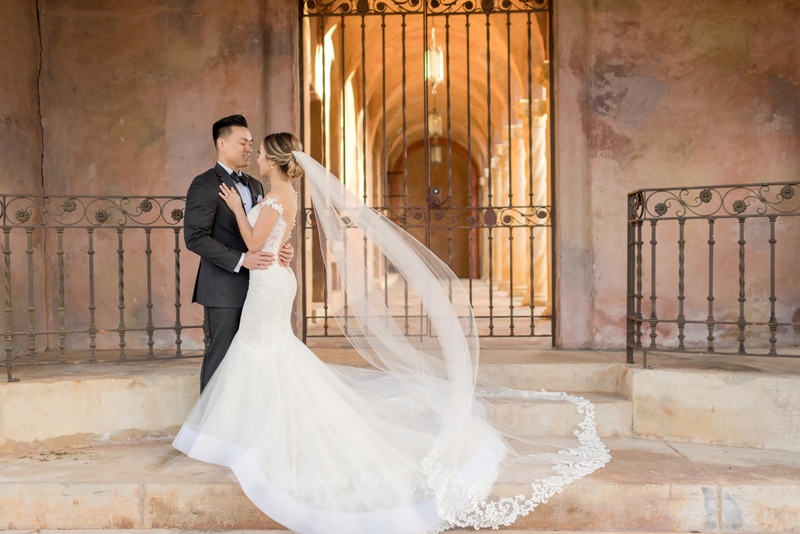 Quyen’s mermaid silhouette gown from Ines di Santo included an illusion neckline, bodice and low back, off the shoulder lace detail and long veil trimmed with lace.